Spousal student loan consolidation is something you might be considering, or perhaps it’s something you’re keen to get out of. Either way, there are some key details about this particular loan situation that are important to know. I’m going to briefly outline what spousal student loan consolidation is, why you might want to do it, why you might want to avoid it, and ways to change it if you have this kind of loan. 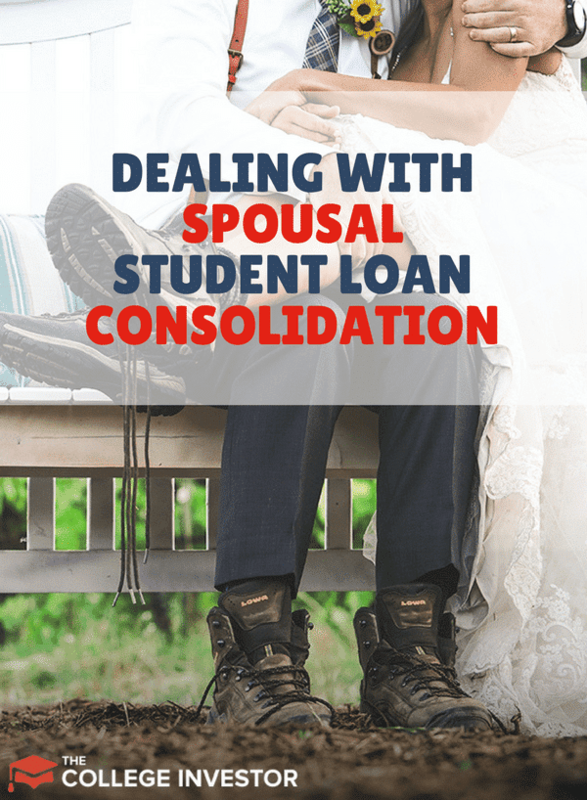 What Is Spousal Student Loan Consolidation? Spousal student loan consolidation is when you combine your student loan or loans with that of your spouse into a joint loan that bears both of your names. This process was previously offered by the government for federal loans. While it’s no longer possible to federally consolidate your student loans with your spouse, a lot of people did so when the program was available and are still paying off those loans, for better or for worse. However, some private lenders will consolidate a married couple’s loans, though the procedure would technically be considered a refinance. The two loans would be paid off by a single new loan in both your name and your spouse’s name. Some lenders may include federal loans in the consolidation; however, remember that refinancing federal loans into private ones sheds the myriad borrower protections — repayment and forgiveness options and deferment, forbearance, and interest benefits — that federal loans carry. If you have federal student loans and are considering consolidating your and your spouse’s loans into a private joint loan, check out your other options first. If you need lowered payments, you might want to keep your federal loans and enter into a different repayment plan that is better suited to your income level. If some or all of these are true, consolidating your loans into a single loan might seem attractive. However, you might want to consider refinancing your loans separately before you decide on a spousal consolidation loan. Only if your combined credit scores and incomes would give you the most favorable loan terms and savings on interest should you consider a spousal consolidation loan. A spousal consolidation loan locks you into a financial obligation with your spouse that may be very difficult or costly to get out of, especially if you decide to get divorced. If you have a true joint loan, both you and your spouse are equal borrowers in this debt and are equally responsible, no matter how much of the debt was originally yours. You cannot release the name of someone on a joint loan. If you and your spouse have a loan where one of you co-signed, you can theoretically release a co-signer, but lenders are not always willing to do this. The main drawback is the unpredictable nature of your financial situation and your relationship. If one or both change, you will need to negotiate with your spouse on how to repay this combined debt. 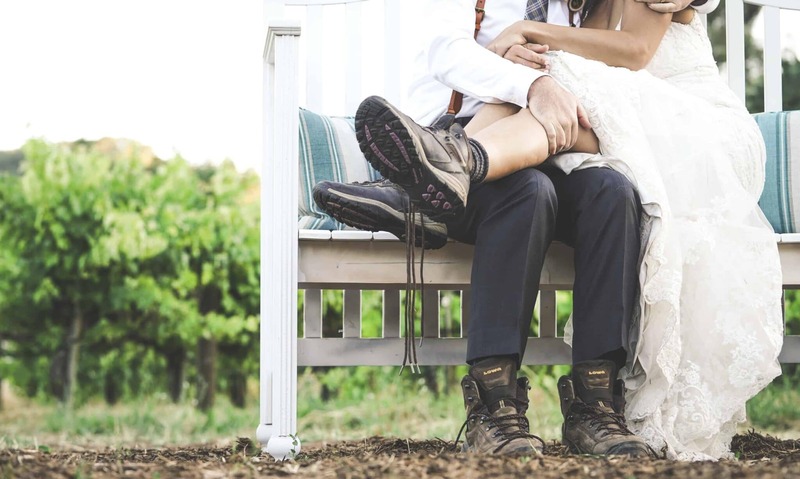 Many of you reading might feel like a warning is a moot point because you already have a spousal consolidation loan and want to split it—now. Maybe you are desperate to take advantage of a loan forgiveness program that’s impossible to access with a joint loan; maybe you’re getting divorced and the prospect of sharing debt with your ex for years to come is a very unpleasant one. Whatever the reason, you are in a tricky situation. Here’s what we know about making changes to federal spousal consolidation loans. First, if you want to convert your federal spousal consolidation loan into a different kind of federal loan, there are few, if any options. At least one expert says that there is not necessarily a law forbidding making a FFEL spousal consolidation loan into a Direct Consolidation loan. However, the Department of Education has been known to deny applications attempting to do so. It might take a change in law for the Department to change their practice, which is no small feat. It’s also not clear if lenders are willing to refinance a federal spousal loan into a private loan. Refinancing an individual’s federal loans into private loans is definitely possible, but the spousal loan is a different story. If a lender is willing to do this, you and your spouse’s individual incomes and credit histories will be the determining factors in your ability to get a new private loan or loans to pay off the federal spousal one. If you find a lender you like, it can’t hurt to ask them about their refinancing options in regards to spousal loans. When refinancing, if you do find a lender who will split up the loan into private loans, you have to make sure you’re getting a good deal not just in terms of the portion of the debt you’re receiving, but the terms and rates of the new loan. While freedom from the spousal loan is the main goal, highly unfavorable terms may present a new unwanted challenge. The same goes for if you have an already-private spousal consolidated loan and decide you want to refinance it. Whether you find a lender to refinance your loan and break up your debt or not, breaking up with your spouse will mean the debt needs to be apportioned somehow. If you’re getting divorced, a lawyer will likely have to hammer out the details with your ex’s lawyer. Whoever you choose to use to help you negotiate, it’s important to get in writing and in a legally binding document the responsibilities of each party in paying back the debt. If you’ve hit a roadblock with your spousal consolidation loan—perhaps you have not found a way to split it, or the payments are too high—you need to do what you can to stay in good standing. Delinquency or default on the loan would just exacerbate current problems. If you have a federal spousal loan, you may be able to enter into an income-driven repayment program, based on both partners’ incomes and family size, and potentially get your monthly payment reduced. This is especially helpful if both you and your partner or ex-partner’s incomes are low. In 2001 I consolidated student loans with my then spouse, we got divorced in 2003. My portion of the loan was forgiven because of total long term disability which was about 25 % of the consolidated loan. My ex refuses to pay any payment or even help me with information for a IBR plan. To save my credit I have to continue to make payments and have no recourse. If I don’t pay they will garnish my SS disability payments. They will not go after any of my ex wages because they have getting them from me from the beginning. Not fair but it is what it is. This is a nightmare for me. It’s my debt and I’m making the payments, but I can’t even talk to my student loan servicer without my former spouse (divorced in 2005) nor take advantage of various repayment options and loan forgiveness because we are both on the loan! Our son is now and adult and we are each remarried with our own new families. If both of you are in good financial shape, have you considered looking to refinance each of your parts into individual loans. Some lenders, especially credit unions, will do this for oyu. I did a spousal consolidation and then divorced a few years later. We worked out the percentage of ownership and had the loan in deferment. The loan was still in deferment when he suddenly died. His portion of the loan has been forgiven and removed from the loan. I’m now trying to consolidate my 2 loans and I’ve hit a brick wall becuase they keep telling me the 1 loan is coded as a spousal consolidation. The loan is mine alone now that his portion has been removed but every call is the same, it’s coded spousal consolidation even though it’s no longer a consolidated loan and no one can remove the code. I’m so frustrated. Any ideas? I’m sorry but I don’t have any ideas. I’m sorry this happened to you. You might try filing a complaint with the student loan ombudsman at the Department of Education. Similar to DJ. Consolidated 2003 90% hers, Divorced 2007. Settlement she would pay the remainder starting 2011. She didn’t, it defaulted and was sold to HESAA in my name alone, i.e. she was removed from documentation. Had to sue in 2014 to get her to pay with stipulation that she would have to pay the judgement amount if she missed ANY payments. Of course she stopped paying. So I am in the process of garnishing her wages. Mean time threats upon threats from HESAA. It’s important to maintain communication with the lender, they still report me (and not her). Most of the money I garnish is for attorney fees! So…. It’s just jacked up all around and should be illegal to consolidate. Hopefully people have more information these days and research before they make this poor decision. definitely not worth it. Seek the other routes mentioned above! I would recommend not paying the others part if you have a divorce agreement where the other spouse is responsible. It should also be CLEAR when the other spouse is to pay. Keep every record and bill including original debtors! With this you just have to face the fact that you made a terrible decision and you will never have good credit so long as this debt exists. Do not enable your spouse by paying their part! Go to court and make sure the offending party is responsible for all costs!